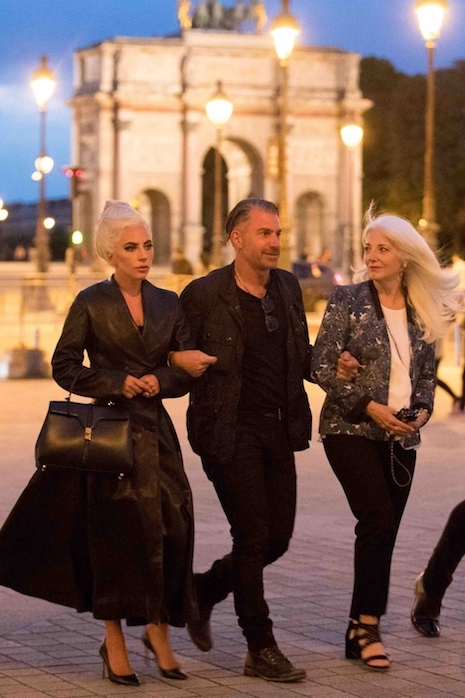 Lady Gaga has arrived at the Venice Film Festival and she probably brought more luggage than anyone in the history of the event. Her wardrobe is sure to keep everyone entertained. 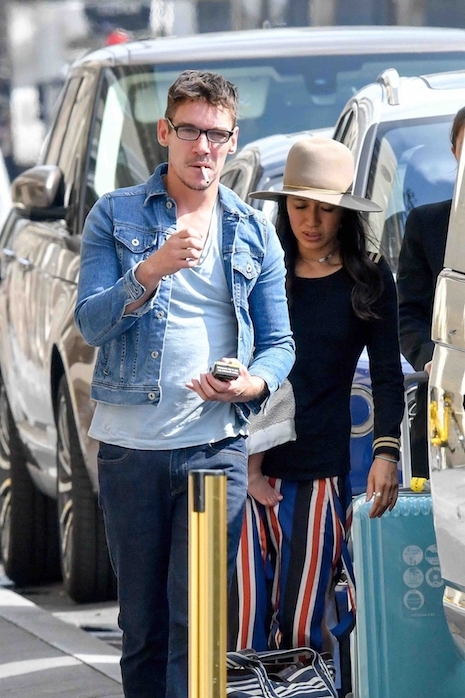 She’s pictured here with her A Star is Born costar and director Bradley Cooper. WHO COULD PLAY A WEIRD DOCTOR BETTER THAN JEFF GOLDBLUM? 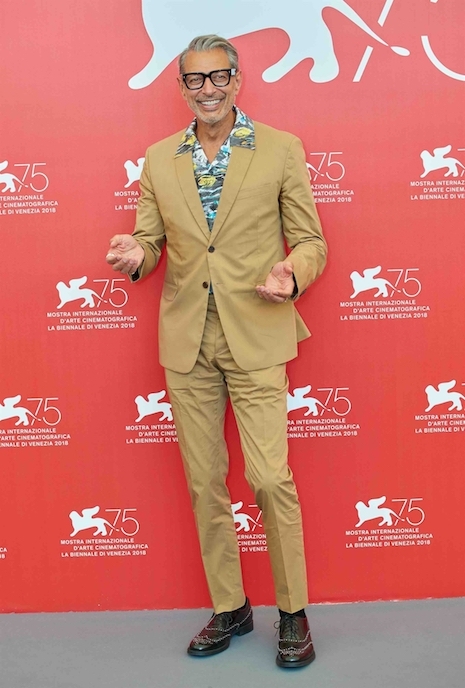 Jeff Goldblum turned up at The Venice Film Festival looking quite spiffy (we love men who have style and make an effort) and he’s starring in a new movie with what sounds like the perfect role for him. In The Mountain Jeff plays a rather mad and womanizing discredited doctor who specializes in lobotomies (it’s the 1950’s.) The eccentric doc takes the son of one of his lobotomized female patients on a road trip in the Midwest, resulting in some strange experiences. Sounds like a comedy, but it’s actually described as a drama, in spite of Goldblum’s quirkiness. But oh, how they TRIED! It took YEARS and many changes for John Travolta to finally get his Gotti movie finished and he hoped it was his role of a lifetime. But it turned out to be a disaster – critics lambasted everything about the film (including Travolta’s “gallery of wigs”) and Rotten Tomatoes gave it a rare score of ZERO %! Scientologists remember the embarrassing failure of Battlefield Earth, the film they produced starring Travolta, and they vowed to do whatever they could to save Gotti. They advertised the movie with a Scientology inspired philosophy “Audiences love Gotti, but critics don’t want you to see it – judge for yourself.” Suddenly, numerous positive reviews appeared online praising Gotti – suspiciously written by people with new email accounts who had never written reviews before. It didn’t help – once again, crime didn’t pay. A couple of things came to mind when we came across this photo of Britney Spears and her bodyguard in Paris. First, it’s been over a month since Britney and her handsome boyfriend Sam Asghari have been seen anywhere together – so what’s happening? Tomorrow night Britney performs at the AccorHotels Arena in Paris for 20,000 fans and she’s got all her hair extensions in place. (She HAS been known to lose some extensions onstage) A former hairdresser of Britney’s told us that the heavy extensions are ruining her own hair – pulling it out by the roots – and she has bald patches. 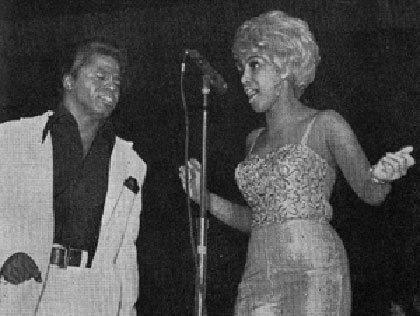 He thinks she should wear wigs onstage to save her own hair. 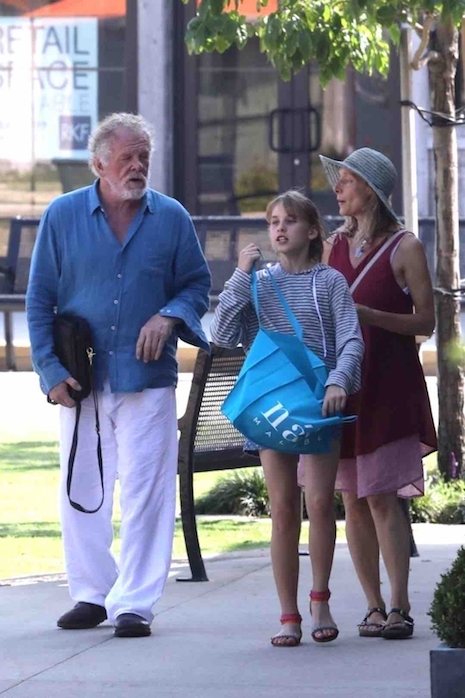 So nice to see Nick Nolte NOT wandering around Malibu in pajamas with uncombed hair. Today he shopped at the Trancas market with his wife Clytie Lane and their 11 year old daughter Sophie – and his hair is combed and he’s dressed appropriately in linen. 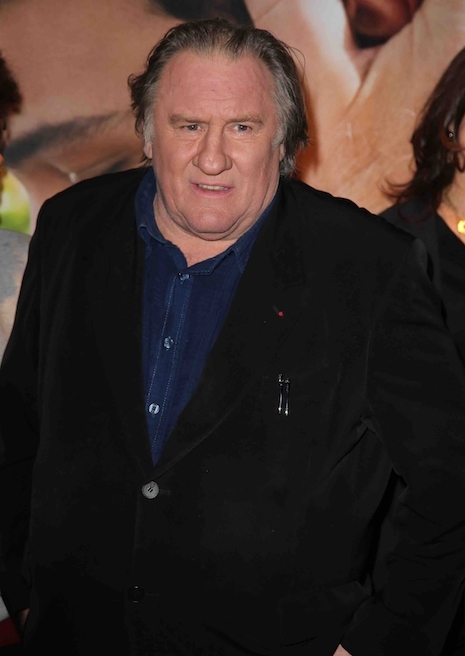 Nick, 77, also has a handsome 32 year old son Brawley from another relationship, who’s also an actor. And Nick keeps busy – he has a couple of movies coming out next year.